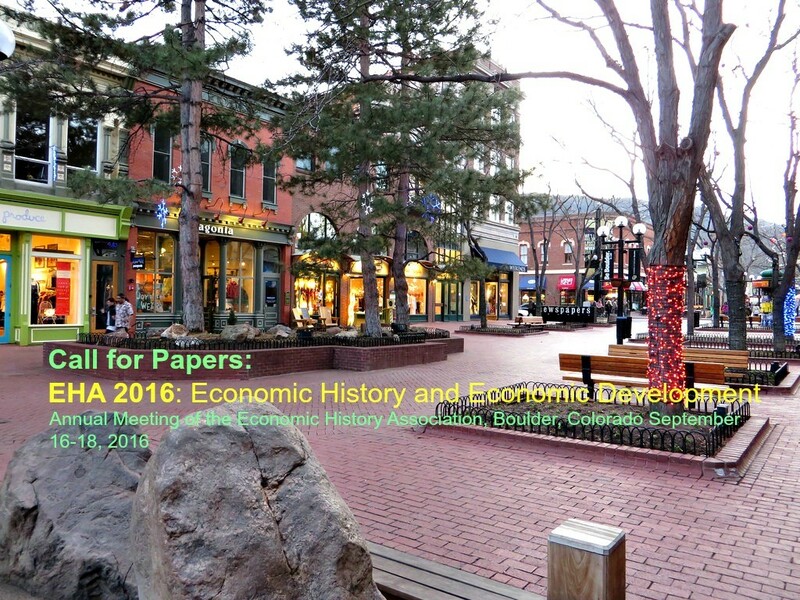 The theme for EHA 2016 is “economic history and economic development.” Economic history is contextual and a longitudinal process, and so too is economic development. Both fields, moreover, view law and politics as important drivers of economic change. Yet, the fields are typically somewhat divorced. Economic history focuses on past development experiences, often (though not exclusively) in currently-developed economies, while economic development focuses on economies that are currently poor. While there is a great deal of methodological congruence, studying the past usually requires exploiting observational, archival data (perhaps exploiting “natural experiments”), while the study of the present allows for implementation of randomized control trials that represent a benchmark for identifying causal effects. One aim of the conference is to point to what the two fields can learn from each other. We thus welcome papers wedding economic history and economic development, and papers drawing on insights from law and political science, as well as (naturally) economics and history. You can find the 2016 EHA conference program here: EHA 2016 BrochureFinal. It contains more detailed information on the sessions and the conference. Graduate students are encouraged to attend the meeting. The Association offers subsidies for travel, hotel, registration, and meals, including a special graduate student dinner. For more information refer to the Call for Papers. The submission system for the conference is now CLOSED. Pre-Registration is now closed. You can register onsite at the meetings.